Punta Cana International Airport (PUJ) is the second busiest airport in the Caribbean (Puerto Rico’s main airport is twice as busy). It receives more than 2 million passengers a year and at the peak times about 250 flights arrive per week. 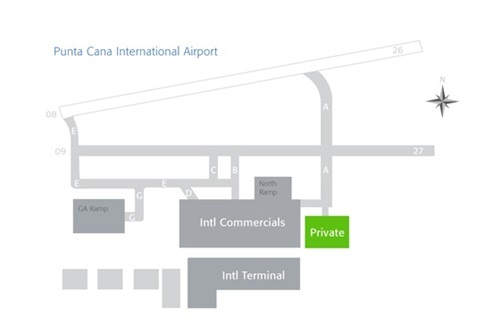 Punta Cana International Airport serves as a destination for more than 50 airlines. There are three terminals in operation at the moment. Terminal 1 is the biggest and serves for most of the flights. There is also a separate terminal for private jets. 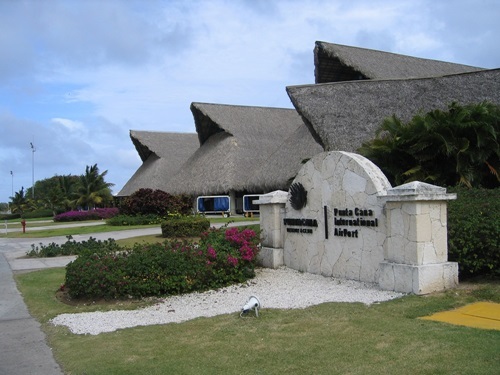 The Punta Cana Airport has a beautiful thatched roof and is an open-air design. For that reason a few areas of the airport have air conditioning. There are few different restaurants at the airport, currency exchange and duty free shops. Note: Often Punta Cana offers cheapest flights from your country. However it is worth to check if you could get a much cheaper flight going to Las Americas International Airport (SDQ).